Theft Crimes Category Archives — Page 2 of 8 — Massachusetts Criminal Defense Attorney Blog Published by Boston, Massachusetts Criminal Defense Lawyer — Stephen Neyman, P.C. 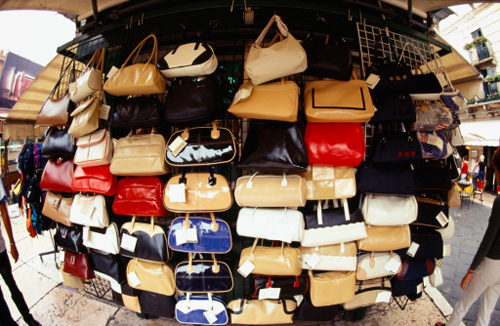 You always hear about people going to New York City to buy pocketbooks, glasses, handbags, shoes and more from street vendors. They talk tongue and cheek about the great deals they are getting. These people know they are not getting the real thing. They go for the experience of “shopping” in New York and having some fun for a couple of days. But did you know you can do the same thing in Lawrence, Massachusetts? Well, just a couple of weeks ago forty two people were arrested in Lawrence and charged with selling counterfeit goods. All of them were arraigned and now await a pretrial hearing in June and July. About six months ago the Massachusetts Legislature passed a law raising the age for adult prosecutions from seventeen to eighteen. The law had prospective application. There is however one school of thought that this law applies to cases that were pending at the time the law went into effect. Thus, a seventeen year old charged in adult court whose case was pending when the law passed could possibly have his case dismissed upon request. This is exactly what happened earlier this week when a Lowell criminal defense lawyer asked the judge to dismiss a breaking and entering case against her client. The crime was committed in July 2013. At that time the defendant was seventeen years old. He is now eighteen. The law became effective on September 18, 2013. While reading posts on my Google+ account today I noticed defendants in various parts of the country facing stiff sentences for computer related crimes. Take for instance the case of Jared James Abrahams, a nineteen year old California man and college student who recently pleaded guilty to a computer based extortion scheme. Abrahams was accused of taking over webcams by infecting computers with malware, then capturing the victims disrobing and extorting them for more photos under the threat of publishing the photos. It was also alleged that Abrahams demanded victims get onto Skype and do as he requested, again under the threat of exposing the illicitly accessed images. Abrahams is looking at thirty-three months in federal prison for the commission of these crimes. Victims identified on Abrahams computer equipment, one of whom was a minor, were from all over the world. In another case, known computer hacker Jeremy Hammond could end up with a ten year sentence for hacking into computers and stealing tens of thousands of credit card numbers. The financial losses calculated by the government directly attributable to Hammond’s actions could be reach two and one half million dollars. Hammond’s lawyers claim that his efforts were part of his social activism, not for personal gain and not initiated maliciously. Rather, it was part of a nonviolent protest that should be punished as such. The government is seeking a sentence of ten years for Hammond, significantly more than the twenty months being requested by his legal team. So what does this tell you about the state of computer crimes right now? Well obviously they are being taken very seriously by prosecutors. Both of these unrelated cases are being prosecuted by the federal government. The sentences being requested are staggering regardless of the motive or sensitivities of the defendants. Abrahams suffers from a documented case of autism for which he has been treated for over ten years. Hammond is motivated by social forces and has not profited from his actions. Nevertheless, prosecutors want blood. They want lengthy sentences. This trend is consistent not only in federal courts but in state courts including Massachusetts. The message district attorneys want to send is clear; virtual trespassing, no matter what the motive will not be tolerated and deserves sever punishment. So how are these cases defended? Usually by challenging the validity of the search warrant the permits the police access to your electronic/computer equipment. Fight to show an absence of probable cause and improper issuance of the search warrant. Additionally, you might be able to defend these cases by showing that the government has failed to establish that you are in fact the person who committed the acts, regardless of what is on the computer. In one instance, over a six week period the defendants received over forty eight thousand dollars in two installments from the victim. This money constituted the deposit for the construction of a new home. The defendants represented to the victims that the money would be kept in an interest bearing escrow account. Instead, the defendants deposited the money into their commercial checking accounts. They wrote checks from the account and depleted the money. None of the expenditures pertained to the victim’s home construction. The construction never took place. The money was never returned. No home was built. In another transaction the victim tendered checks in an amount more than fifty-five thousand dollars. Again, the victim understood that the defendants would use the money as a down payment for the construction of a house. In less than two months that account too was depleted. As with the first case, construction delays were negotiated and yet again no construction took place. The deposits were never returned to the victim. In another matter, DeGennaro hired a subcontractor to install plumbing and heating for homes that he had built. The first check tendered to this victim by the defendants bounced. A subsequent check cleared. The victim continued to perform services but was never paid. This pattern repeated itself relative to another property where this victim was providing the same services for the defendants. It is no surprise to me that the defendants in these cases were convicted. What does surprise me is that these cases were prosecuted criminally in the first place. These cases almost never get presented to law enforcement. The reason for that is simple. If the victim is correct and he was actually defrauded by the contractor the sum of money taken from him will motivate the district attorney to look for jail time after a conviction. There are not many defenses to cases with these fact patterns. Money was moved from one shell LLC to another. The funds were depleted not for construction purposes but for the enrichment of the defendants. No work was performed. This was nothing more than a scam that was repeated several times with several customers. Yet victims in these cases who consult lawyers will realize very quickly that if they go to law enforcement with their complaints a prosecution will ensue, there will likely be a felony conviction involving jail time and restitution will never be made. The victim will never get back his deposit. So what happens? Usually the builder will continue with his scheme, paying off one victim with funds stolen from another. If he gets lucky, in a good real estate market he might get a windfall with a construction project or housing development and be able to pay everybody back. Rarely do the builders come to the end of their rope as happened with DeGennaro. In his decision, Justice Sikora put it best when he wrote “This appeal requires interpretation of a seldom litigated criminal statute”. It is seldom litigated because the victims know that they will never get paid if the defendant gets prosecuted. According to a report on Boston.com Steven and Lori Palladino along with their son Gregory stole in excess of ten million dollars from forty-two victims some of whom are over the age of sixty. The Ponzi scheme, as it is being called, alleges that the Palladinos raised money through investors by promising large returns on the investment. Rather than investing the money however the defendants used the money to fund an extravagant lifestyle. The money was spent on lavish vacations, cars and gambling debts. A criminal usury charge was also filed alleging that Steven Palladino loaned money and charged a forty percent interest rate on the loan. There is also an allegation that Steven Palladino spent some of the money on a girlfriend. The Palladinos owned Viking Financial Group and were its only employees. Among the charges are Larceny Over $250, a felony and Larceny Over $250 with a victim over the age of sixty. If found guilty of the latter indictment the penalty can be enhanced. The younger Palladino was charged only recently in this case. A few thoughts come to mind when I read this article all of which are to me somewhat revealing about the district attorney’s case. Number one. Why is this case being prosecuted by the Suffolk County District Attorney’s Office rather than by the feds? The answer probably has something to do with the strength of the government’s case. It is the consensus among Massachusetts Criminal Defense Lawyers that in this district the feds cherry pick their cases. They prosecute only the strongest cases, those they believe they have very little chance of losing. Thus, there may be problems of proof for the district attorney. Number two. Why disclose to the public the facts about Steven Palladino having a girlfriend? I imagine the prosecution wants to create division in the family and possibly get Lori Palladino to agree to cooperate with the prosecution. If that is true, then again I question the strength of the prosecution’s case or its belief that it can prevail on the indictments as charged. Number three. Why indict the Palladino’s twenty-eight year old son? My answer is that in all probability the prosecution wants to squeeze the Palladinos. There is no instinct greater that that of a parent protecting a child. Most parents would die to protect their child. Again however, to me this signifies admitted weaknesses in the case against these defendants. On March 1, 2013 in Commonwealth v. Doyle, 11-P-1779 the Massachusetts Appeals Court reversed a conviction for Malicious Destruction of Property Over $250. In Doyle the following facts were presented to a jury: On October26, 2010 Boston Police responded to a call in Dorchester where an ATM machine had been broken into. Upon arrival they encountered an individual who pointed to Doyle. Doyle was carrying a large duffel bag. As officers went towards him he fled. Doyle was caught. The duffel bag was searched. Inside the police found tools believed to be used to break into ATM machines. Doyle was charged with Malicious Destruction to Property Over $250, Breaking and Entering and Possession of Burglarious Tools. The jury convicted Doyle on all counts. As to the Malicious Destruction charge, Doyle claimed that the district attorney lacked sufficient evidence to establish the element of malice and that there was no evidence as to the value of the ATM machine. The issue of the ATM machine’s value was not addressed by the Appeals Court. Instead, the court held that the evidence adduced by the prosecution did not satisfy the element of malice. Massachusetts General Laws Chapter 266 Section 127 states that anyone who destroys property of another willfully and maliciously is guilty of a crime. If the value of the property destroyed exceeds two hundred fifty dollars the crime is a felony and the potential sentence is ten years in state prison. Malice is ìa state of mind of cruelty, hostility or revenge.” In this case the act of damaging the property was done for the purpose of breaking into the ATM machine and nothing more. In other words, damage to the property had to be done in order for the act to be committed. . . at least in the manner Doyle committed the act. The Appeals Court drew its authority from another Massachusetts Appeals Court case, Commonwealth v. Redmond, 53 Mass.App.Ct. 1 (2001). In Redmond, the defendant’s goal was to steal computer equipment. To do so, he needed to destroy property (a door, window, alarm system) to get to the property he wanted to steal. This conduct was not deemed malicious, rather it was necessary to achieve his ultimate criminal goal. The incidental or necessary property damage was deemed “the adventitious by-product of a wholly discrete criminal enterprise”. As a Massachusetts Criminal Lawyer I can tell you that anytime there is damage to property incidental to another intended crime, Malicious Destruction to Property is charged. An Experienced Criminal Defense Lawyer will see the duplicative unsupported charge and immediately move to have that count dismissed. Keep in mind that any conviction can adversely impact someone’s future and eliminating all counts possible in a complaint cannot be overlooked. According to a report in the Brockton Enterprise, Dery Moeda of Brockton, Massachusetts has been indicted by a Plymouth County grand jury for Home Invasion and related Massachusetts Violent Crimes. It is alleged that Moeda broke into a home on October 11, 2012 around 7:30 in the morning. While in the home he placed a gun against a thirteen year old girl’s head, telling her to remain silent while the apartment in which she lived was searched for nearly one hour. Apparently Moeda and his cohorts were looking for money they believed to be in the home. The girl identified Moeda through a photo array. In addition to Home Invasion, Moeda has been charged with Kidnapping and Larceny Over $250. The case is being prosecuted in the Brockton Superior Court. Whenever a Massachusetts Criminal Lawyer defends a case like this one the photographic identification process gets scrutinized. I always want to know what the victim saw and how strong her identification of the suspect was prior to her being presented with the photographic array. The identification itself and the photographic array get introduced into evidence unless the defendant’s lawyer is able to show that this aspect of the identification process was unnecessarily suggestive and that the identification itself was tainted because of it. The burden is on the defendant to show by a preponderance of the evidence that given the totality of the circumstances the identification process was so “suggestive and conducive to irreparable misidentification as to deny the defendant due process of law”. While this task is difficult and arguably unconstitutional given its burden shifting application, recently the Massachusetts Supreme Judicial Court established an advisory protocol to help ensure against abuse. This would require law enforcement to make it clear to the witness that the person who committed the crime may or may not be in the array. The witness should also be advised that it is just as important to clear someone as it is to identify someone. Additionally, the witness should be told that the individuals depicted in the photographs might appear different than they did at the time of the crime and that regardless of whether or not an identification is made the investigation will continue. The procedure shall also ask the person making the identification to state the degree of certainty he has in selecting the photo. When this procedure is not used in accordance with the Supreme Judicial Court’s recommendation I usually ask the trial judge to incorporate in the jury instructions language that reflects law enforcement’s failure. I view a significant percentage of out of court photographic identifications as unreliable and suggestive. This is certainly something worth litigating in Massachusetts Criminal Cases. Framingham, Massachusetts police responded to a call on Route 9 early yesterday morning after a security guard at a local apartment complex heard a car crash. When officers arrived they found seventeen year old Jefferson Deandre behind the wheel of a stolen Camry. Another unnamed passenger was observed in the back seat suffering from what have been described as serious injuries. The incident occurred sometime around 2:30 in the morning. Another passenger, Joel Figueroa fled into the woods where he was apprehended by the police. Figueroa also sustained injuries. During interrogation by the police Deandre admitted to stealing the car. He provided the location from where he had taken the vehicle as well. He was subsequently charged in the Framingham District Court with Receiving Stolen Property Over $250, and Larceny of a Motor Vehicle. Figueroa was charged with variations of the same crimes. Larceny of a Motor Vehicle in Massachusetts is a felony pursuant to Massachusetts General Laws Chapter 266 Section 28(a). The law states that anyone who knowing steals a motor vehicle can be punished by up to fifteen years in state prison or up to two and one half years in the house of correction. Here is an interesting aspect to this law. The charges cannot be continued without a finding. For people convicted for a second or subsequent such offense there is a mandatory minimum one year jail sentence. To prove someone guilty of this crime in Massachusetts the prosecution must prove beyond a reasonable doubt three elements: 1) that the accused took a motor vehicle; 2) that the vehicle was owned by someone else; and 3) that it was the defendant’s intention to do so with the intent to permanently deprive the owner of the vehicle. Usually Larceny of a Motor Vehicle is charged with the Crime of Use Without Authority. That crime is identified under the same statute. That crime is also known as “joyriding”. The punishment for a conviction for joyriding is the same as Larceny of a Motor Vehicle in Massachusetts. The reason that both crimes are charged together stems from the fact that prosecutors may not be certain of the defendant’s intent so they want to leave options open. For instance, if the accused is charged with Larceny of a Motor Vehicle only his defense might be that he only intended to drive around in the car and return it later. If the jury believed him he would be acquitted of the Larceny of a Motor Vehicle charge even though he admitted to having committed another crime. Thus, the two are typically charged simultaneously. There are defenses to these the crimes discussed in this post making it important for anyone accused to hire an Experienced Massachusetts Criminal Lawyer. Last week Massachusetts State Police and Marlborough Police surveilled 21 Preston Street, the home of Joshua Chevez a twenty year old Marlborough resident. Once Chevez arrived home he was handcuffed. The police then executed a Search Warrant at the residence. During the search authorities located Drug Paraphernalia (digital scales and baggies), thousands of dollars cash and some packaged marijuana. Residue on the scales was confirmed to be cocaine. Officers also seized cell phones, cars and a laptop. While detained Chevez confessed to Selling Marijuana and Distributing Cocaine. He stated that he sold around two ounces of cocaine per week to Marlborough residents. Chevez admitted that he buys his product from a Drug Dealer in Lynn, Massachusetts and a Drug Dealer in Lawrence, Massachusetts. Chevez also confessed to Distribution of Marijuana. He was charged with a School Zone Violation, Possession With Intent to Distribute Cocaine, Drug Conspiracy and Possession With Intent to Distribute Marijuana. Chevez defaulted on his arraignment and a warrant has issued for his arrest. Chevez has other pending Massachusetts Drug Charges including one in Lawrence for Possession With Intent to Distribute Class B along with some Massachusetts Theft Crimes; Breaking and Entering and Receiving Stolen Property. His cases are pending in the Marlborough District Court and may eventually be prosecuted in the Middlesex County Superior Court in Woburn. As I have mentioned in many prior posts, Chevez’s first mistake was to talk. Had he not spoken with the police there would have been many more defenses to the Massachusetts Drug Charges he is facing. But he did not. Rather, he confessed to having committed some serious Massachusetts felonies. It is pretty clear that he was release from custody on a low bail due to his willingness to cooperate with the police. While this might appear to be an attractive offer to someone who has just been arrested, it is ill advised to cooperate with the police without proper representation from an Experienced Massachusetts Criminal Lawyer. Neither Chevez nor anyone in his position is capable of working an effective, beneficial cooperation agreement without the assistance of a lawyer. Now, being in default has exacerbated Chevez’s problems and he is in need of proper representation. Silence is the best defense to police questioning if you do not have a lawyer advising you otherwise. The large majority of cases that I handle would never have amounted to Massachusetts Criminal Cases had the defendant not spoken with the police. The rule is simple: avail yourself of your constitutional right to remain silent and hire a lawyer immediately. Last week a woman who lives on Newcomb Place in Taunton, Massachusetts returned home after being away overnight. When she entered her apartment she observed Katherine Lee Ferguson, a Plymouth, Massachusetts resident, naked and cooking breakfast. Ferguson’s friend Kyle Timmons of Taunton was also present. It is alleged that the two broke into the home through the back doors. The police arrived to find a relative of the victim chasing Timmons out of the building. Timmons continued his flight and was ultimately apprehended down the street. Ferguson was found in the home, wearing a dress and ring belonging to the victim. Both defendants have been charged with Malicious Destruction to Property Over $250 and Breaking and Entering. Timmons also faces a Restraining Order Violation while Ferguson is being charged with Receiving Stolen Property. The most serious statute with which Ferguson and Timmons are being charged is Massachusetts General Laws Chapter 266 Section 17. That law states that anyone who commits the crime of Breaking and Entering a building in the daytime with the intent to commit a felony where the owner is present can be sentenced upon conviction of up to ten years in state prison. The crime is a felony. This type of crime is commonly known as a burglary. Burglaries are considered particularly egregious crimes and judges often impose stiff sentence after someone is convicted of this offense. The word “building” as used in this statute can be equated with a home as is the case here. There must be an intention on the part of the accused to commit either a felony or a misdemeanor along with breaking and entering to satisfy the elements of this crime. Where that cannot be proved prosecutors often charge the crime of criminal trespass. Here, Ferguson’s wearing of the victim’s dress and ring are sufficient to suggest the intent to commit either a misdemeanor or a felony. The facts are not as evident relative to Timmons. Defending these crimes can be difficult particularly before a jury. Jurors are typically unsympathetic towards people accused of breaking and entering someone else’s property, especially someone’s home. In Timmons case the apparent question is “what crime did he intend to commit?”. While this might appear defensible from the facts set out in this article I can see where a jury might believe that he was acting as a joint venturer with Ferguson and that he was complicit in helping her steal the ring and dress. Getting caught in the act like this makes trying this quite difficult. I imagine that Timmons and Ferguson will be trying to resolve this case through a plea deal.